At HCHS we believe that visitors help in the healing process. Therefore we have not set visiting hours. We do ask that visitors respect the patients´ needs for rest while healing. HCHS is a latex-free facility. You can access the internet by connecting to the hospital´s public wireless network, titled MOTOROLA. When you are admitted to HCHS, you will be asked if you would like to have a member of the clergy visit with you. The Harlan County Ministerial Association has ministers that will be available to visit you, if you wish. There will also be a minister on call if you need to speak with them at any time. 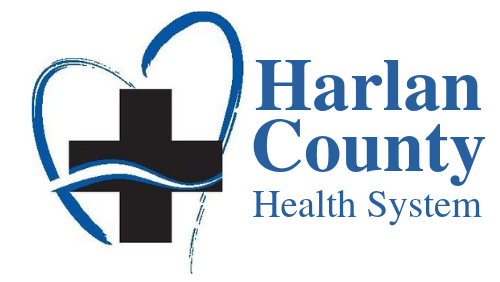 The Harlan County Health System campus and its properties are tobacco free. Medication is available to patients to curb their craving for tobacco. Harlan County Health System does not have a public cafeteria to accommodate family and visitors of patients. If you wish to eat with a patient in their room, we will be more than happy to accommodate you with a guest tray. You may request a guest tray for breakfast, lunch, and/or dinner. Below you will find the serving times for each meal as well as the prices for the guest trays. Breakfast: Served at 8:00 A.M. Please request by 9:30 A.M. Please request by 4:00 P.M. If you wish to request a guest tray please ask one of the nursing staff and they will inform the kitchen staff. Vending machines are also located across from public restrooms. Thank you and we hope that your visit at Harlan County Health System is as comfortable as possible.